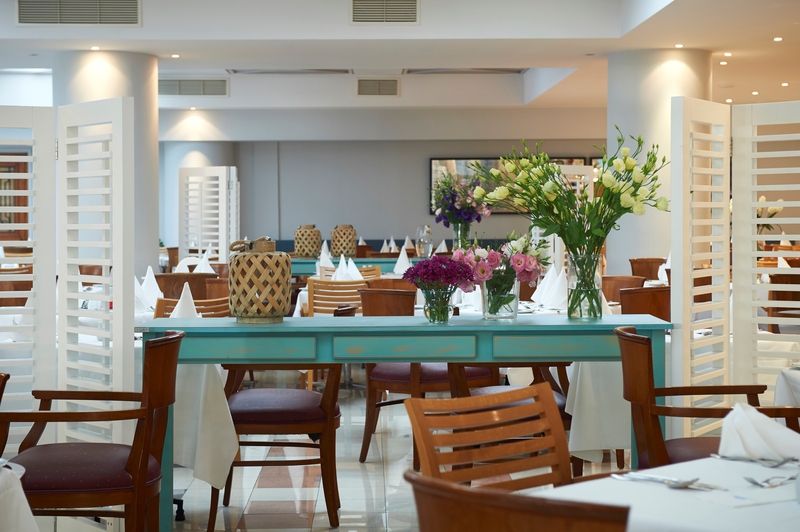 Extensive International breakfast buffet incl. varieties of cheese, cold meats, yogurts & cereals, egg options, freshly baked breads, vast variety of hot & cold food items, selection of fresh seasonal fruits, show cooking station for omelets, waffles & pancakes. Also available 'Healthy Breakfast' station plus also 'Local Breakfast' station. For those who missed breakfast, our 'Louis Late Breakfast' is available daily by the 'Sundowner Pool Restaurant'. Enjoy your late breakfast 'al fresco' (limited breakfast items available). For your days out, you can pre-order a 'lunchbox' which includes sandwiches, fruits, a slice of cake, a bottle of water and juice. Please place your 'Lunchbox' order at the hotel's reception desk 24 hrs in advance. 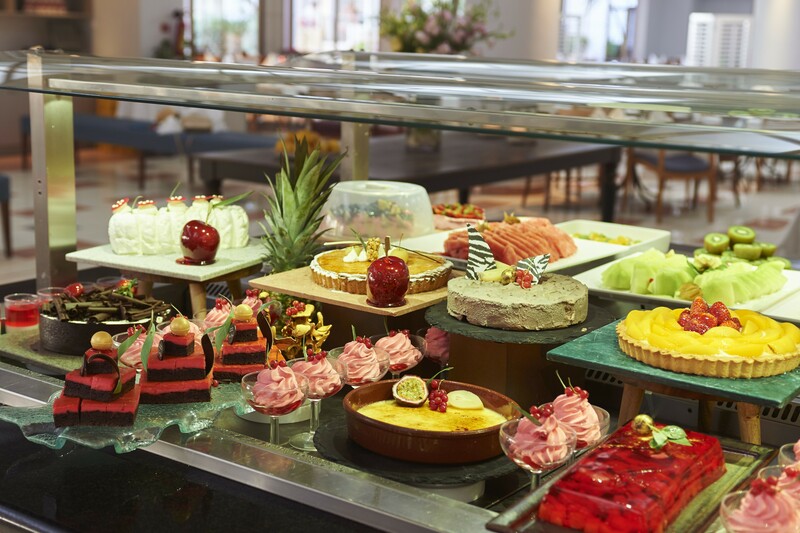 Daily buffet displays including a 'make-your-own' salad bar, show cooking station plus grilled meats and fish as well as other international dishes. 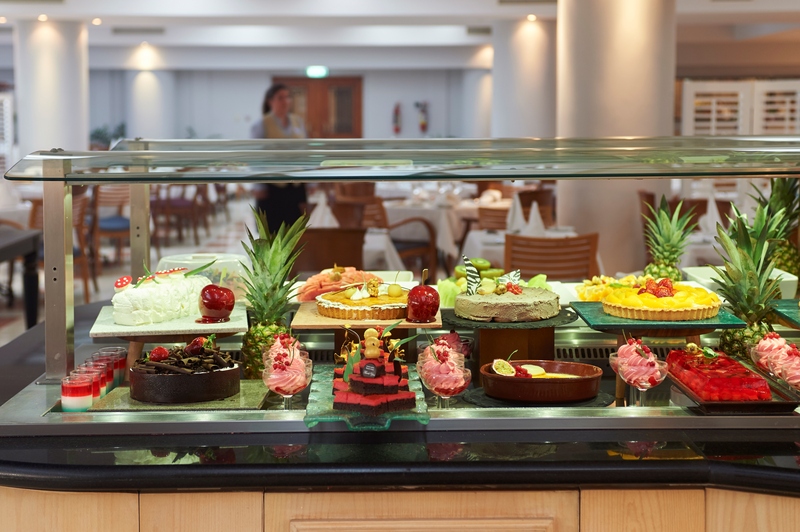 Also on display variety of desserts & puddings, seasonal fresh fruits & ice-cream. Quick and easy, our 'Louis Quick Bites' is available 7 days a week at the 'Sundowner Pool Restaurant'. Items on offer: burgers, pizzas, french fries, freshly made sandwiches & wraps, nuggets and other kids' favorites, cakes, fresh fruits & ice-cream. Sumptuous buffet displays incl. 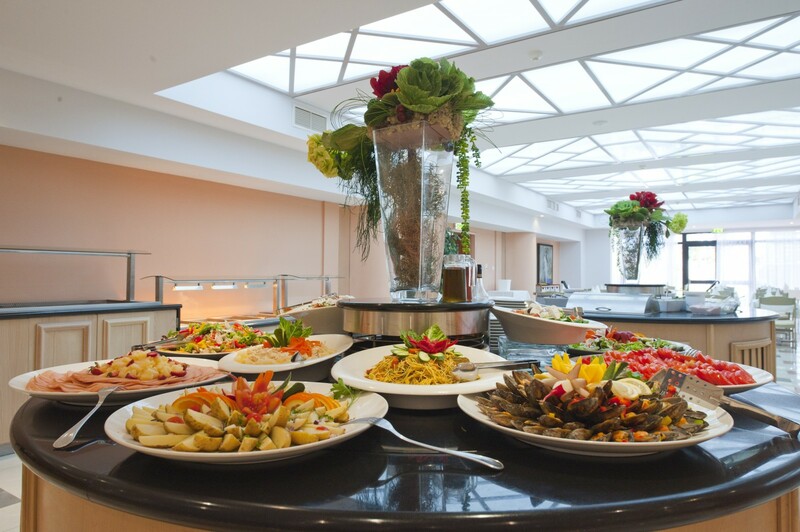 an array of fresh salads, a 'make-your-own' salad bar, live cooking station, hot dishes & carveries, sweets etc. Every night our kitchen brigade prepares a different theme night incl. Greek night, Italian night & Asian night. Also part of your 'super all inclusive' the 'Meze Night' (traditional taverna food, waiter service, May to October only). 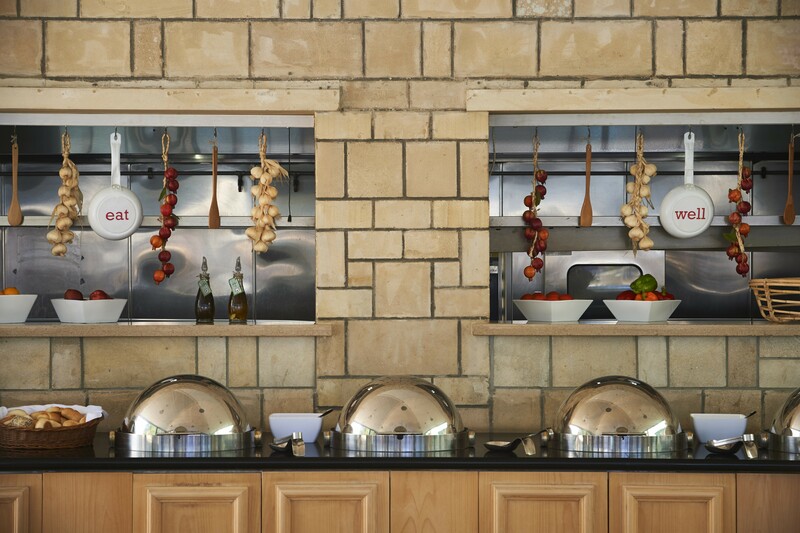 Our young guests can help themselves daily from the 'Yummy Corner' buffet at the 'Akamantis Restaurant'. Items on offer: pizzas, burgers, french fries, pastas & vegetables and many other kids' favourites. For our 'late arrivals' or for those guests who missed dinner, the 'Louis Late Bites' offers amongst other a selection of freshly made sandwiches etc. Available 7 days a week at the 'Akamantis Restaurant'. Locally produced alcoholic beverages including aperitifs, spirits and mixers, draught beer, wine, liqueurs etc. Also available a great selection of classic & exotic cocktails. 'All Inclusive Drinks List' is available at all bars. Limited selection of drinks at certain bars. Non alcoholic beverages available at most bars & restaurants including soft drinks, juices, squashes, still & sparkling water, Frape ice coffee, home-made ice tea, non-alcoholid cocktails etc. All Inclusive guests are supplied with soft drinks & water in their rooms' mini- bars at no extra charge (limited selection, mini-bar refill once a day). A selection of hot beverages are available at most outlets including coffee, cappuccino, espresso, mocha coffee plus a variety of teas. Some bars offer 'special coffees' containing alcohol such as Irish coffee, Calypso coffee etc. Breakfast is served at Akamantis Restaurant. Louis Late Breakfast is served by the Sundowner Pool Restaurant. Lunch is served at the Akamantis Restaurant. Louis Quick Bites is served by the Sundowner Pool Restaurant. Dinner is served at the Akamantis Restaurant. Louis Late Bites are served at the Akamantis Restaurant.